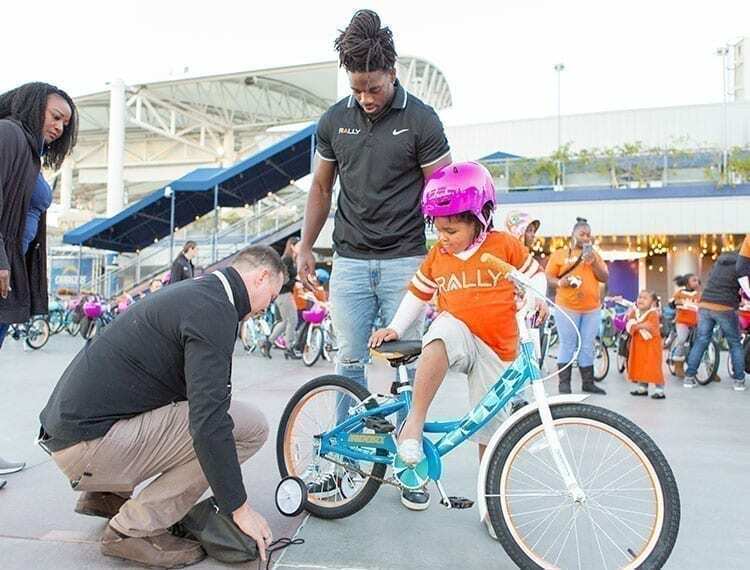 Los Angeles Chargers and Pro Bowl running back Melvin Gordon and digital health company Rally HealthSM hosted their third-annual “Holiday Bike Build” at StubHub Center, where 100 kids from Gardena-based Falcons Youth and Family Services received brand-new bicycles and Bell helmets. Gordon, a Rally Health Ambassador, led activities for the afterschool event that inspired children ages 5-12 to adopt healthy habits and focus on their education. 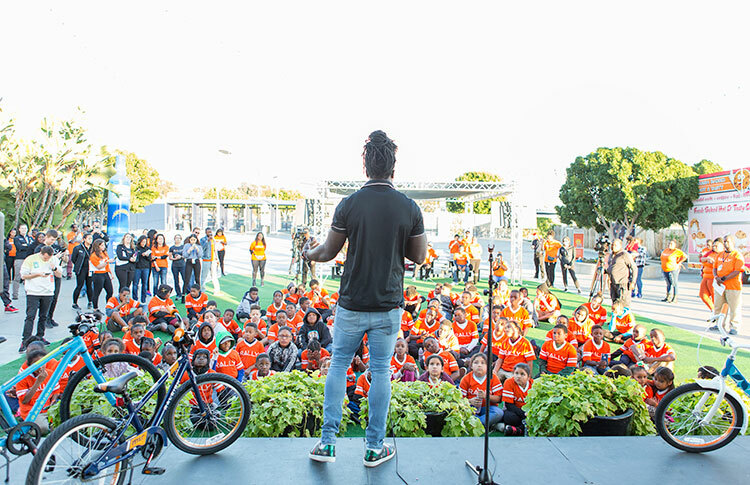 Professional cyclists from Rally CyclingSM joined Gordon in leading a series of health and fitness-inspired activities including football drills and potato-sack races before leading the children in a ride on their new bikes around the StubHub Center concourse. 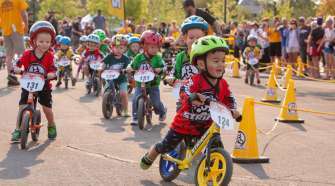 “It’s incredibly rewarding to be able to draw from my own experience and Rally’s message of healthy living to inspire these kids to stay healthy and stay in school, and now with their new bikes, to get plenty of fun exercise,” said Gordon. Falcons Youth and Family Services is a nonprofit organization that empowers youth, families and community through educational services, health and nutritional awareness, physical activity and cultural appreciation. The nonprofit uses sports as a vehicle to introduce and reinforce the concept of strong character, positive values, personal responsibility and academic excellence. “Today was a day to remember for these kids. 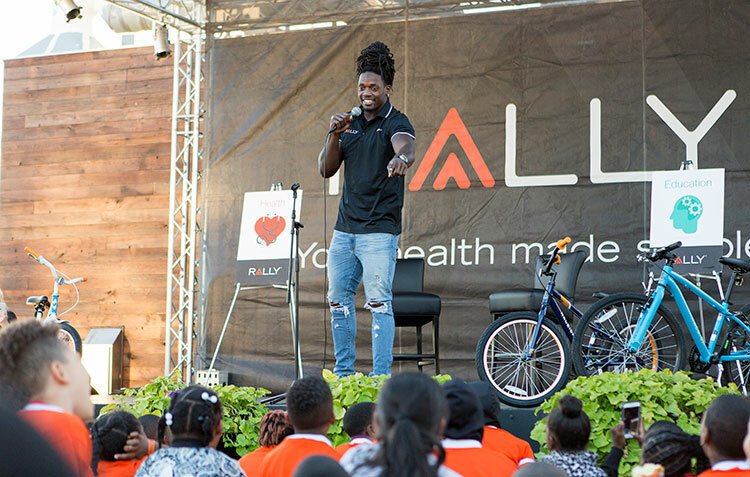 It’s our hope that their memory of this exciting experience receiving a new bike and meeting a football star, Rally Health Ambassador Melvin Gordon, will always remind them of how important it is to take care of their health and pursue their education,” said Brenda Yang, SVP, Rally Health. 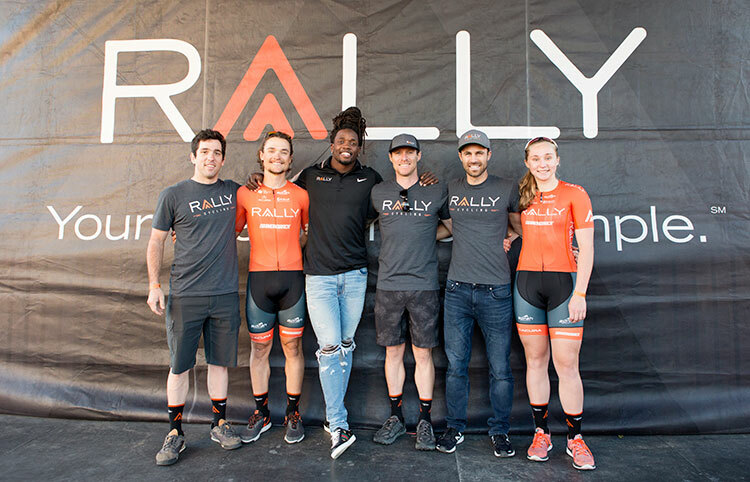 Partnering with Rally Health for today’s event were AEG, Bell, Raleigh, Diamondback, and Rally Cycling. 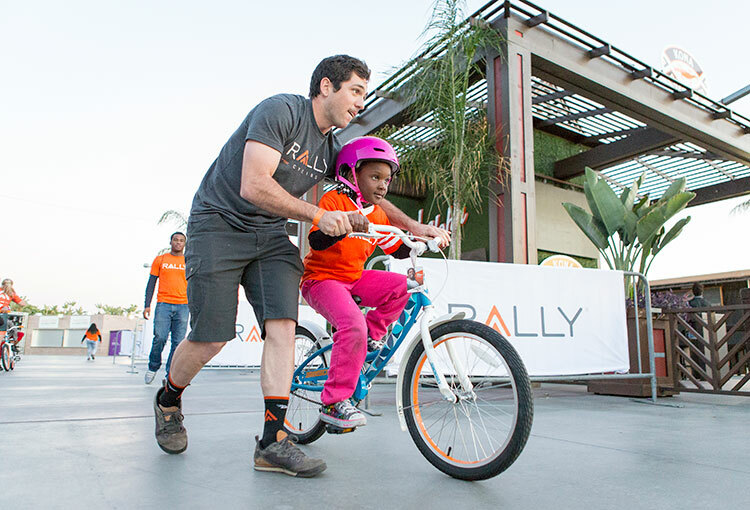 Rally pro-riders Brad Huff, Jesse Anthony, Megan Jastrab, Robin Carpenter, Ty Magner and Rally Cycling mechanics helped prepare the bikes before joining the kids for the ride around the StubHub Center concourse. 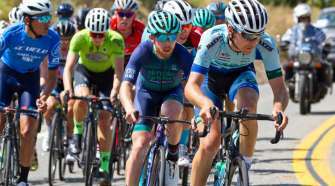 The Rally Health Ambassador Program works with celebrities and professional athletes to inspire people everywhere to adopt healthy lifestyles and become better informed health care consumers. In 2016, Gordon joined actor and comedian Kevin Hart as a Rally Health Ambassador. 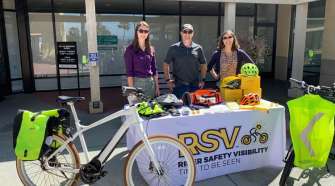 In 2017, TV/radio personality Maria Menounos became a Rally Health Ambassador.